Making a will is the only way to make absolutely sure that your assets will go where you want them to after you die. But for many people, the £200-£600 you might need to pay a solicitor to make a will is more than they can afford. The answer? From simple documents to complex estates, this guide will tell you how to make a free will, and explains the affordable options for when free wills aren’t the best fit. Check whether your workplace or trade union offers a free will-writing service. If you have home or car insurance, check whether your legal cover includes wills. In March or October, check the Free Wills Month website for solicitors near you who are taking part. This is only available to the over 55s, however. Look for help from a charity like Will Aid or Will Relief Scotland. It’s worth bearing in that charitable programs like Will Aid and Free Wills month usually ask for an optional donation – for Will Aid, the suggested amount is £95 for a single simple Will and £150 for two mirror wills. Some other charities, including Cancer Research UK, the Stroke Association, and the Children’s Hospital Charity, offer to cover the cost of writing a will. If you go for this option, consider leaving them a bequest to support their work and make sure they can carry on offering this service in the future. If you live in England or Wales and all your assets are held there, you can create a will for just £90 here on Beyond. With live support from our legal team and a simple, guided, step-by-step process, it’s an easy way to get peace of mind from the comfort of home. Plus, it only takes about 10 minutes. While Beyond isn’t free, at £90, it’s hundreds of pounds less than a typical solicitor – and also a little less than the suggested donation for many wills charities. It’s also available year round, to all ages (over 18), and includes some handy extras, like submission to the National Will Registry. You can find out more here. Sometimes, making a will really is as simple as leaving a document that says you want to leave everything to your partner, and to your children after they die. If that’s all you need, there are plenty of DIY ways to learn how to write a will for free. These days, many local stationers sell template will kits. 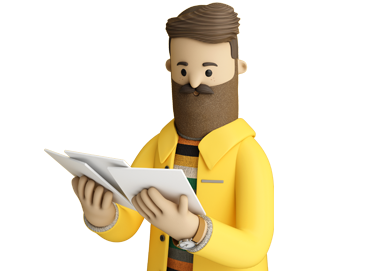 You can also find guides online – useful if you don’t qualify for Beyond’s service – and the government is considering changing the law to make it easier to write a free DIY will. You can check for updates on this here. Have you tried making a will for free using any of the services above? How did it go? Share your thoughts in the comment box below.